Astrology is a complicated business. The star signs are complicated. What they resemble is subject to interpretation. Over the course of centuries, people have been trying to decipher what the various movements of the stars could actually mean. While that may affect our lives in ways that we don’t think of, it doesn’t necessarily mean that it is a result of Ursa Major mixing with Ursa Minor. Nevertheless, it would be a felony if someone really did consider astrology to be a waste of time. It does affect people. It does affect the way we think. The astrological signs that we are all divided into, are not the same. They are inherently different, and it is because the movement of the stars lead to several changes that might take place in the ingrained characteristic of the individual. 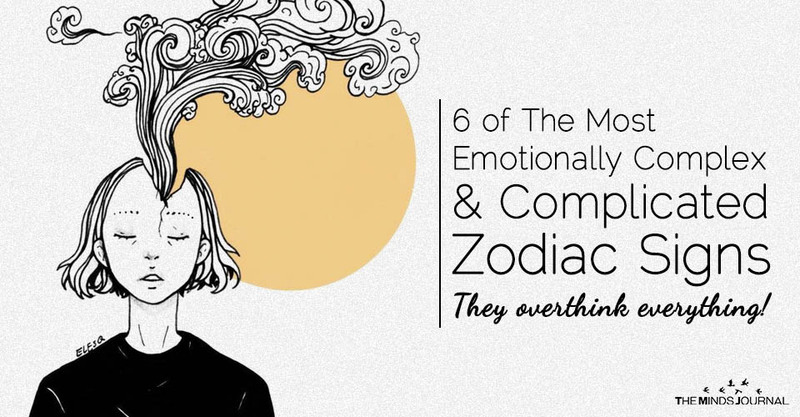 Now, most articles focus on the good, positive side of zodiacs as to how they affect a human being in a good way. Or the good personalities that one might come across being subjected to a zodiac symbol. Yet, the good comes with the bad, the yin, with the yang. So, it is imperative we talk of the complications that adorn each symbol. The twisted thinking that involves humans of a particular zodiac. If you’re not a Sagittarius, be glad that you can never actually get a glimpse into whatever is going on in their minds because you’d never make it out alive. They are extremely complicated and could win gold medals at the Olympics if thinking too much was a recognized sport. A real Sagittarius will turn their own brains inside out by coming up with all kinds of crazy scenarios without having any idea about what is really going on around them. Finding out the truth of the matter is essential for them and whenever there are some gaps in the information they are given, they will do their best to fill in those gaps with their own imagination till they overflow. They’ll explore whole new worlds of possibilities. You can call them pig-headed but they are definitely not lacking in substance. Everyone born under this sign will sit and overthink things till they work themselves up so much that they might just spontaneously combust if they’re not careful. They’ll never look at just the surface of things and will spend a lot of time trying to get to the heart of the matter. Their thought processes are so complicated that they themselves can’t really understand what is going on in their minds. This only makes them analyze their thoughts even more which in turn only complicates and already overly complicated situation for literally no reason other than that they cannot understand themselves. Their very nature is dual and this only makes things harder when you are an emotionally complicated person whose feelings run very deep. Most of a Gemini’s suffering is caused only because of their heightened sensitivity. With such complicated emotions, a Gemini is more likely to spoil things for themselves on their own without any help from enemies or rivals. They’ll think too much and take the fun out of everything. Even when they hear the best of news, they will dissect and analyze and reanalyze it so much that it will turn into the worst news in little to no time at all. They’re so intent on looking at something impartially that they lose sight of the matter at hand.